Beauty Water is the new nutricosmetic which in just seconds, will turn your water into a powerful anti-ageing treatment for your skin. Made from actives which are known to be especially effective against the signs of ageing on your skin, such as Hyaluronic Acid, Resveratrol or Coenzyme Q10, Beauty Water provides high bioavailability and instant absorption. Its ingredients are absorbed directly into the bloodstream, without needing to be digested, providing the best results. Beauty Water is the perfect complement to a balanced diet, a beauty regime specially adapted to your skin type and a healthy lifestyle. We recommend 20 days of Beauty Water every two months as the ideal routine for improving cell regeneration as well as preventing and fighting the signs of ageing on your skin. Beauty Water is safe for pregnant women, contains 0 Kcal and is suitable for vegans. With a delicate hint of cherry flavour, it’s the perfect accessory for the most demanding of women who are looking for an effective and safe way to care for their skin. Reducing the signs of ageing on your skin. Improving hydration and protection of the epidermis. Enhancing natural collagen and treating skin flaccidity. Helping to achieve a young, glowing, fresh, radiant and protected looking skin. 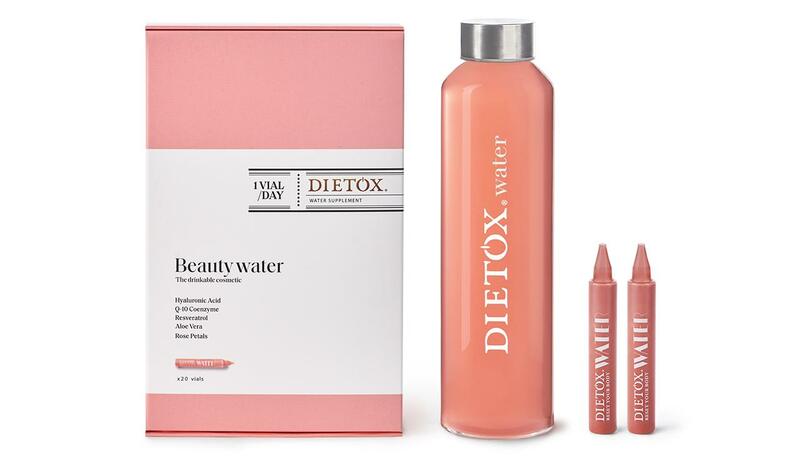 The box contains 20 vials, and with it, you can receive the exclusive Dietox water bottle to carry your Dietox water with you wherever you go. Add 1 vial to 500 ml - 1 l of water. 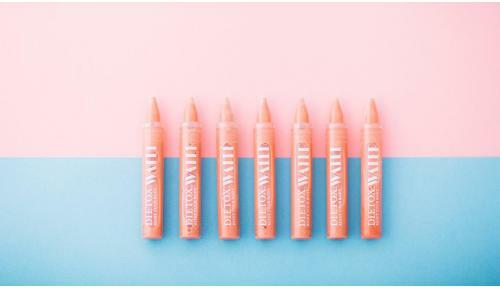 INGREDIENTS PER RECOMMENDED DOSE (1 vial): Purified water, Aloe vera, Hawthorn, lemon balm, rose petals, xanthan gum, hyaluronic acid, titanium dioxide, coenzyme Q-10, resveratrol 98%, lycopene 5%, polysorbate 80, cherry aroma, Allura red. RECOMMENDED DAILY DOSE: One 10ml vial diluted in 500 ml - 1 l of water. Anti-ageing effect. Reduces the signs of ageing on your skin: wrinkles, expression lines and dull skin tone, thanks to the hyaluronic acid and Coenzyme Q10. Improves hydration and protects your skin thanks to the strong regenerative qualities of Aloe Vera and rose petals on the skin. Provides an antioxidant effect and combats cellular ageing thanks to its Resveratrol content. Treats flaccidity as it stimulates the synthesis of collagen and ascorbic acid or Vitamin C.
Helps achieve a younger, glowing, fresh, radiant and protected looking skin.